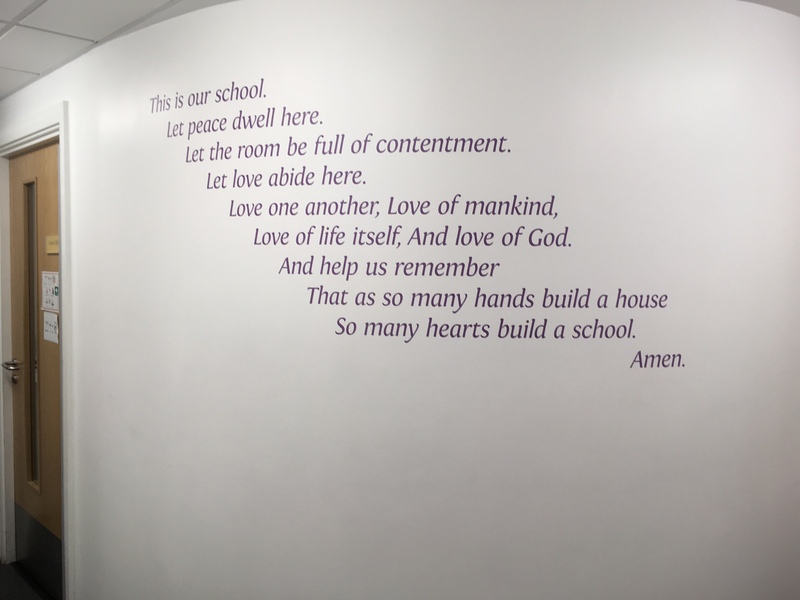 The brief: To transform an unused corridor space into a focus point for the schools faith. 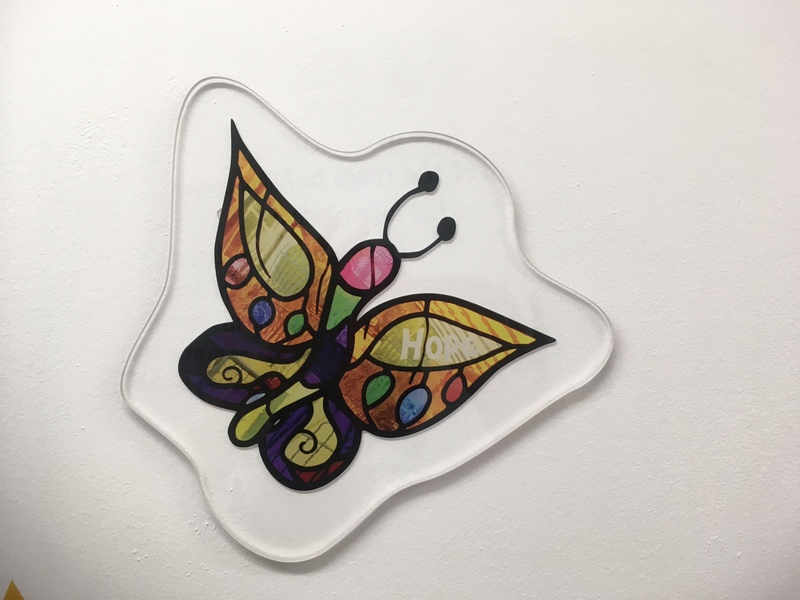 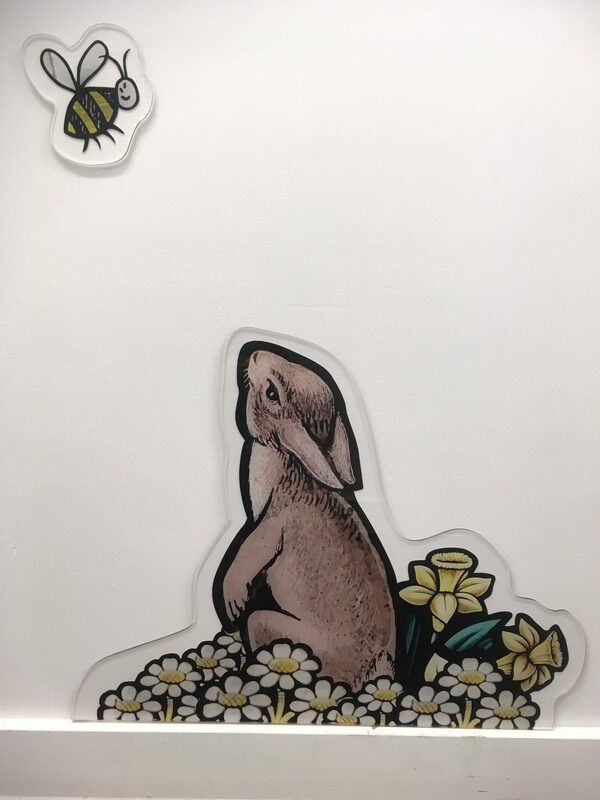 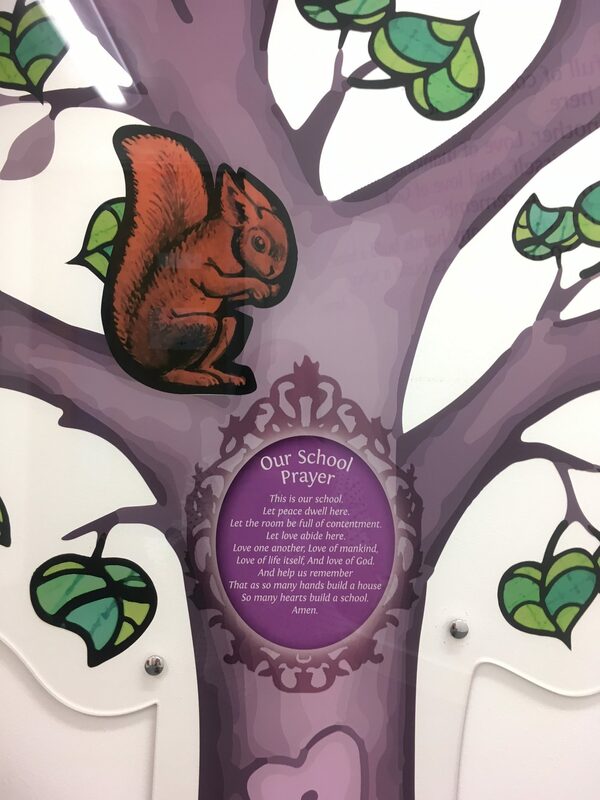 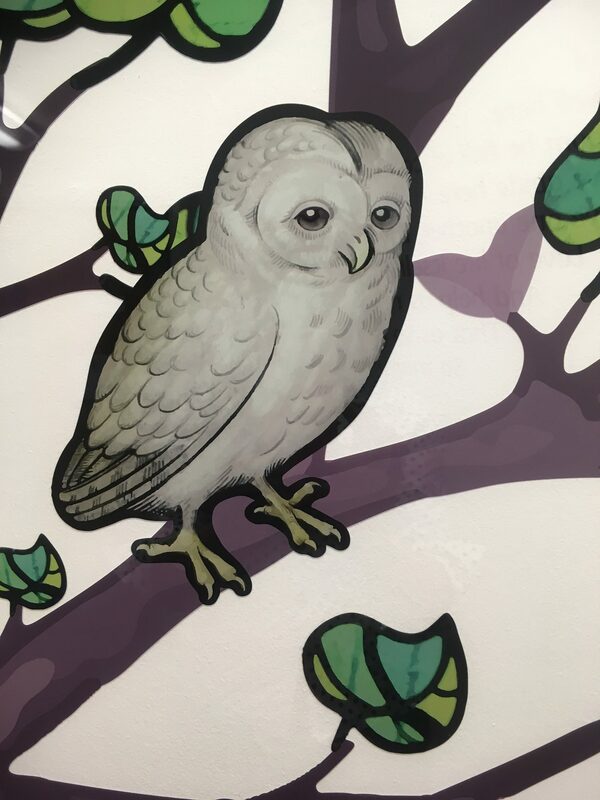 The process: Two Thirds Design were invited to Christchurch Primary School in Sandwell to produce an interactive prayer tree with cut-out acrylic shapes of woodland animals and birds, and to creatively display the school prayer on the curved wall opposite. 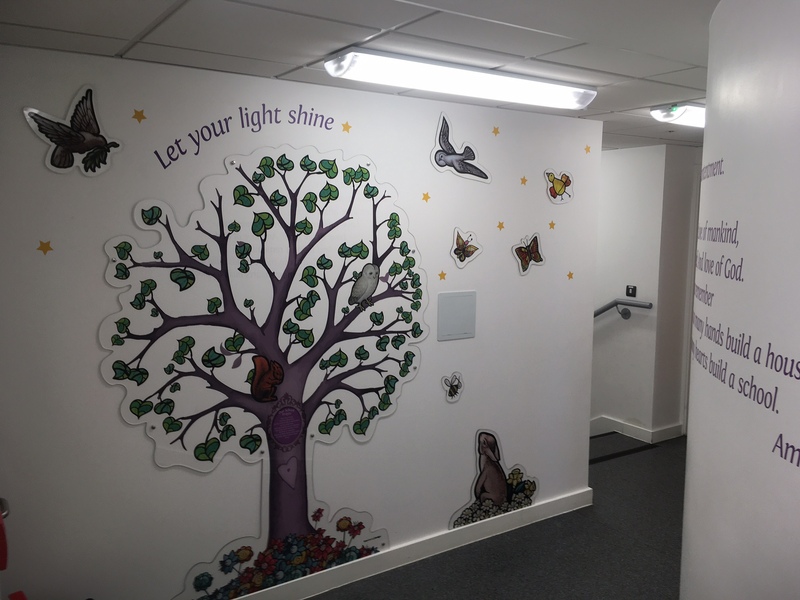 The end result: The space has been transformed from a bare corridor to a focal point of reflection for pupils’ faith, where children can hang their prayers.